Posted by occhristiancounseling in Dr. Debi Smith, emotions, understanding men. A personal serenade from Brandon and Friends. This is just one of many reasons I love men! Thanks, guys! You’re the best! 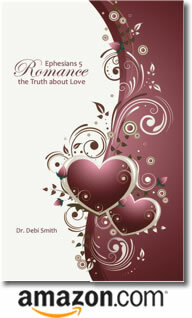 Posted by occhristiancounseling in marriage, recommended reading, understanding women. It is my pleasure to share this guest post by Bro Shelby Stokes. Thank you all for joining me, again, on today, to continue forward in the encouragement of seeking the REVOLUTIONARY ACTION of reclaiming OUR RELATIONSHIPS. Today we will speak, exclusively, to the Women. Please, take a moment, or two, and “look upon” the photo. Really take in the image of the Woman. Get a very good understanding of who this Woman is: to be found in the position (placement in the photo, and in the life of the Man; in his heart). Do you see her? Can you see who she just may be? You do?……. Posted by occhristiancounseling in recommended reading, understanding men. When I, first, looked at this photo my insides leaped up in JOY! Not because of the sheer awesome nature of the photo; although the photo is sheerly awesome, yet it was due to the fact that I knew this photo would be the “visual catalyst” to our (the Men and Women) ushering in the much needed, much anticipated, much talked about, REVOLUTION: concerning our Relationships. And, of course, all of this MUST BEGIN with our relationship with God (as the Head of our lives). Today, “How God INSTRUCTS the Man”. My beloved Brothers, please, STAND UP and walk with me for a while…..